The 2019 PJ Drive was a Record Smashing Success! 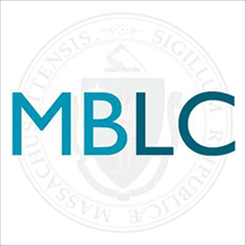 Editor’s note: This post was written by Shelley Quezada, the MBLC’s Consultant to the Unserved. Here in New England, September marks both the beginning of fall and the start of the children’s book award season, recognizing some of the most excellent books for young readers published in the past 12 months. A perennial favorite with youth services librarians, authors, and publishers, the Boston Globe-Horn Book Awards Ceremony will take place on Friday, September 30 at Simmons College in Boston. The Boston Globe Horn Book Awards has been presented annually since 1967 and is considered among the most prestigious honors in the field of children’s and young adult literature. Selections are featured in three categories: Picture Book, Fiction and Poetry, and Nonfiction. Additionally, each category includes two honor books. Unlike many American Library Association awards, the winning titles may be written or illustrated by citizens of any country as long as they are published in the United States. Awards are chosen each year by an independent panel of three judges appointed by the editor of The Horn Book. This year’s award winners were announced by video on the Horn Book website in May. However, next Friday’s ceremony is especially exciting because it features speeches by the award winners, followed by a book signing. Attendees at the Friday ceremony are in for a treat: with the exception of authors and illustrators Frances Hardinge, Sherman Alexie, and Yuyi Morales, all awardees will be on hand to give presentations to the audience. Many of these authors will also participate the following day at the 2016 Horn Book Colloquium “Out of the Box” that will also be held at Simmons College. Previous Previous post: Happy Read an eBook Day!